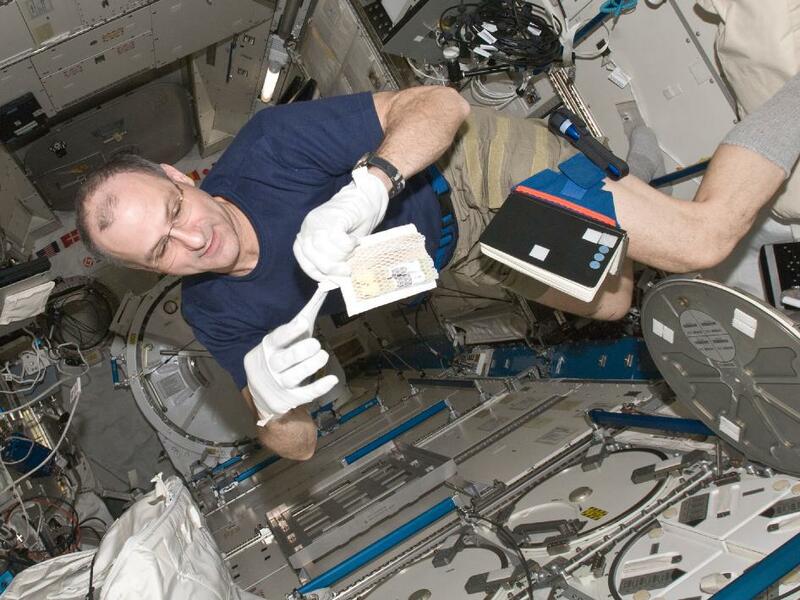 Astronaut Don Pettit performing research aboard ISS – and there’s plenty more where that came from (Credits: NASA). With major construction complete on the International Space Station, member states have been touting the benefits to be gleaned from the experiments aboard the fully operational orbiting laboratory. However, there have been recent hints that expectations may be just too high – and experiments are piling up. With the extended work days on top of dealing with the physiological and psychological strain of being in space and the extra effort needed just to peform daily tasks such as hygiene, exercise, and food preparation, there are signs that the pressure is taking its toll. For instance, a recent mishap resulted in a set of student experiments being returned to Earth unactivated. An astronaut was supposed to flex the MixStix vials to mix their contents while they were aboard. Although Nanoracks has taken responsibility for the mistake, citing inadequate training of the astronauts, clearly the crew have mastered much more complex technologies. With space agencies, particularly NASA, pushing to justify increased – or at least not reduced – domestic space program spending, there is increasing pressure to produce results from ISS research. NASA is currently pursuing two avenues to increase experiment capacity on the station. For the near term, the agency is in talks with Russia to borrow cosmonauts’ time to help out with research on the US side of the station and is working to use robotics such as Dextre to replace crew activities whenever possible. More long term, NASA hopes to increase the station’s crew complement from six to seven. Although there is plenty of space aboard ISS to house another person, the Soyuz capsule is only able to carry three crew members at a time – and at this time is the only transportation option for getting crew to and from ISS. Exceeding six crew members could impede the ability to evacuate in event of emergency. However, the development of commercial crew capabilities may alleviate this constraint, with capsules being designed to hold four or more crew. The question, of course, is when such capability will be ready and available for use. In the meantime, the six ISS crew members must do the best they can.